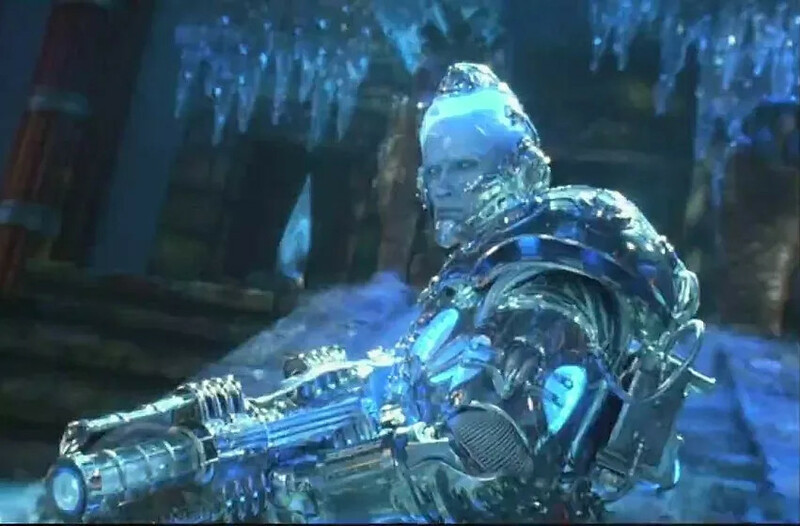 Satire site The Sioux Falls Headliner has a funny alternate-universe story in which an unnamed man was taken into custody after he dressed up as Arnold Schwarzenegger in his role as Mr Freeze in 1997's Batman and Robin, drove to the local Walmart, and stood in the parking lot, hollering cold-weather puns at passersby. In the imaginary story, the man, who continued to make puns in the police car, was released without charge. “He told me he was going to change the ‘STOP’ sign to say ‘FREEZE’. He was dressed up in some clear plastic that looked hand painted baby blue to really get the whole ice look down. He was also trying to talk like Arnold did in the Batman movie. I thought it was pretty funny,” said one shopper we spoke with. Not everyone thought the man’s puns were funny, though. “The man told me I needed to ‘cool it’ on the make-up I was wearing. I took serious offense to that! Who says that to a person? I’m really thinking about suing him!” said one woman we spoke with who was actually wearing too much make up.